Partying with successful witches, authors and artists. Welcome to the first Tarot Blog Hop of the 2019 season. Master list (for those who have encountered gaps in the hop-circle) is after the introduction. The theme for this edition of the Tarot Blog Hop is “Odd Associations." As readers and users of the symbolism of the Tarot and oracle decks, we create a string of associations with the emblems and mythology of divination. For instance, with the cards of the Tarot, a reader can associate them with events, people, feelings, places, etc. Those who dive into the esoteric systems will sometimes also have dates and locations, zodiac symbols, kabbalahistic ideas, etc. associated with the cards. 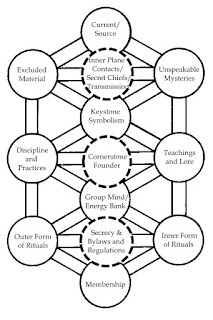 Basically, divination systems are like a giant filing cabinet that we toss imagery into, so that later we can use the symbols as a hint of what is going on. Sometimes, okay often, individual readers will stumble upon new symbols sets to associate the cards with. For instance, I know one reader who ended up reading for lawyers on a regular basis, resulting in a lot of the cards having an additional layer having to do with the court and legal system. It was a specialized set of meanings developed in an unique situation. Most of us have such unique insights, due to the people and conditions that we worked with injunction with our favorite divination system. 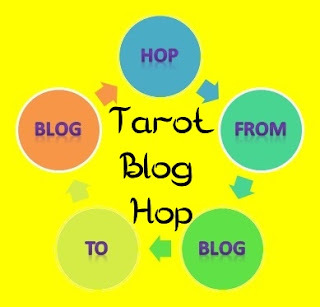 Hop blog to blog with us as we talk about Tarot. The biggest safeguard of lodge and coven based esoteric traditions is the presence of trusted peers, other human beings, also working the system by your side, who know you personally in real life and can talk some sense into you when you go off the rails. Guess what part of group based traditions and systems get ripped out and tossed off a cliff the most? Yeah, the part where your peers can tell you to your face while in the same room that you have become more delusional than normal. Long story short: We did not get the food, and Morgan got to spend a delightful half-hour in the snow while under the influence of pot. Short story long: So my wife ordered Wendy's (yes, we eat fast food) through DoorDash. My wife told me that the driver was on their way, so I went into the kitchen and basically stood there staring at my front gate while a herd of cats wondered why I wasn't feeding them in a timely manner. Then my wife came through the kitchen and told me that the driver was here and looking for our house. I went outside and stood by our mailbox. It had started to snow. The mailbox is only a yard away from the front gate--I can see over it--and if a driver was actually out there, they would be able to see me. Have I mentioned that it had started snowing?